Fundraiser for Peek-A-Boo Revue by Jenni Bagby : Help Peek-A-Boo Revue tour Germany! Help Peek-A-Boo Revue tour Germany! Since 1998 it has been our pleasure to entertain you! What started as a Wednesday night variety show at the 5 Spot in Old City has evolved into a full blown burlesque production touting professional dancers, the bawdiest of emcees, one of the rarest burlesque gems-- our house band the Striptease Orchestra, and classically trained vocalists. During our 18 year journey we have been awarded the title of Best Troupe at the Burlesque Hall of Fame twice, performed in various festivals throughout the US, and created the Philadelphia Burlesque Academy thanks to Philadelphia’s growing appetite for burlesque education. In 2017, we are embarking on our biggest accomplishment yet: performing internationally! We are thrilled to announce we have been invited to headline the 2017 Munich Burlesque Festival on April 1! That’s right, we will be performing our full show in front of brand new European audiences! 1. Donating to our GoFundME-- No donation is too small or too large! 3. Come see a Show! A fun day full of burlesque classes taught by our very own performers. Class and registration info to be released soon!!! The secret to our success, has always been our ongoing family, friends, and loyal patrons. Your consistent support has allowed us to continue in the legacy of world class ecdysiasts before us. With your generous support, we now get to live out one of our biggest burlesque dreams: performing internationally. Thank you to everyone who has supported us through our #PeekTakesGermany fundraising efforts and at our recent shows! The fun continues this Saturday at the Philadelphia Burlesque Academy (in Fishtown) as Ginger Leigh, Cherry Bomb, and Sophie Sucré teach an afternoon of burlesque classes! All levels are welcome. Register and get more info at http://www.philadelphiaburlesqueacademy.com! Merry Christmas!! Wishing everyone an amazing Holiday Season, with joy and love for the New Year! Donate $1,000 and get an exclusive Peek-A-Boo Revue show for you and 10 of your friends at the Philadelphia Burlesque Academy! Donate $350 and receive 2 season tickets to Peek-A-Boo Revue shows! 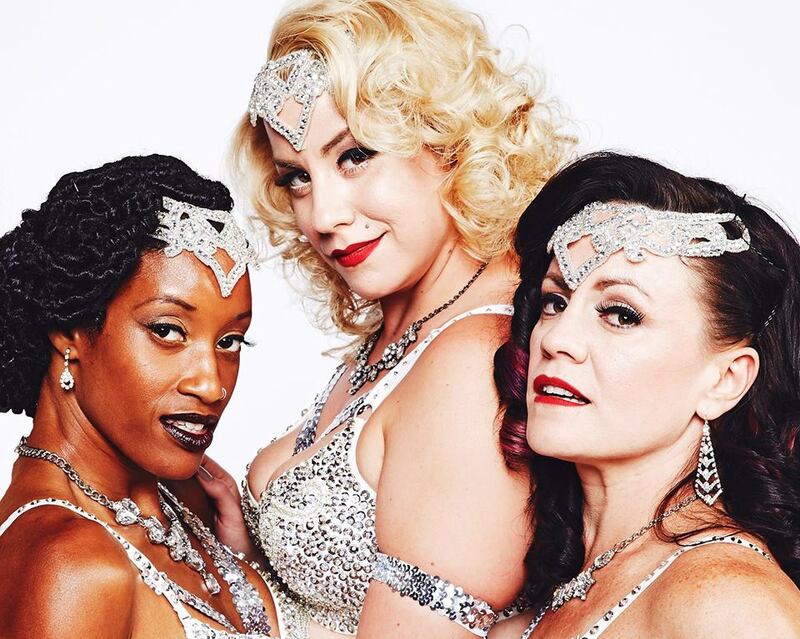 Donate $250 and get an exclusive burlesque class with you and 10 of your friends! Have a great trip ladies!